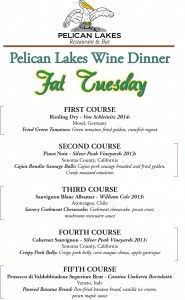 Our Wine Dinner is Back, Baby! 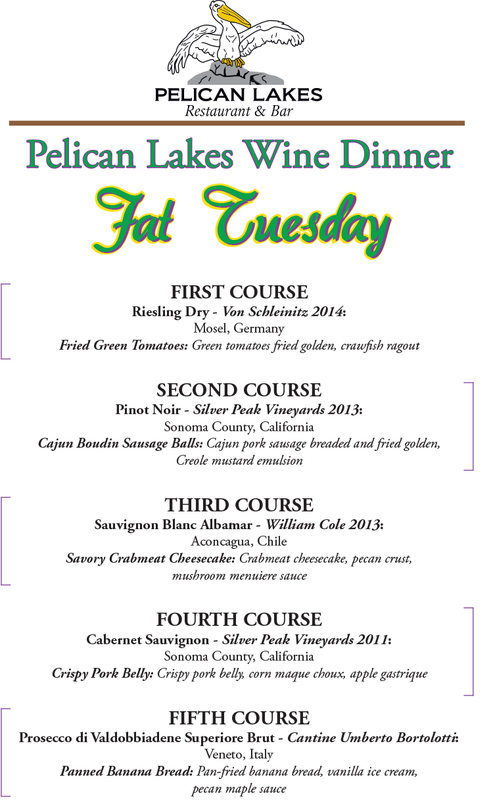 The Pelican Lakes Restaurant will host its first wine dinner of the year on Tue., Feb. 9. The five-course event is open to the public and by reservation only. 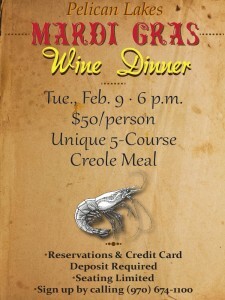 The cost is $50 per person and includes the meals and wine. 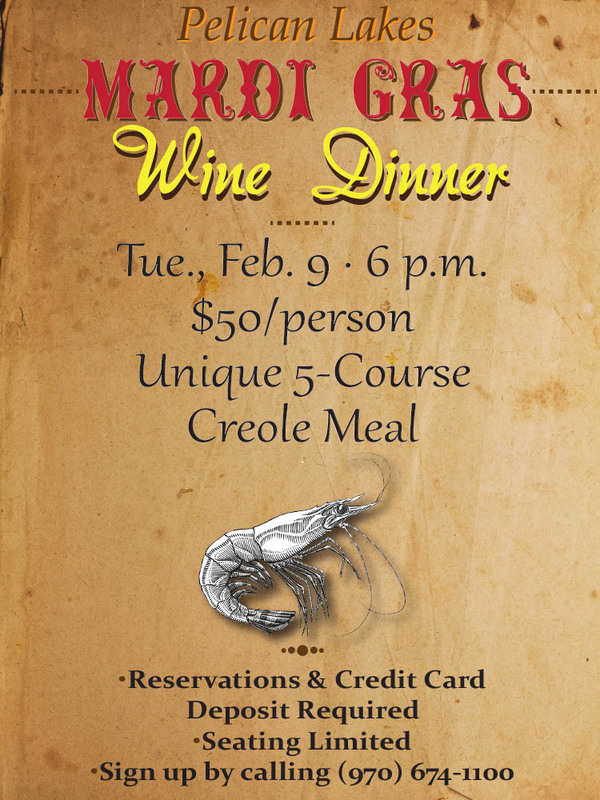 The creole-themed wine dinner will begin at 6 p.m.
For reservations, call (970) 674-1100.